The island of Hawaii rarely takes a direct hit from a hurricane. 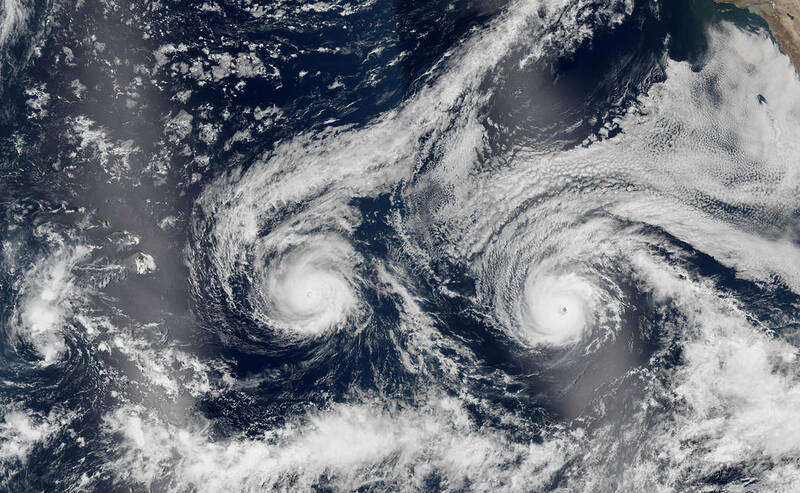 This week, two Pacific storms are lining up to change that. This natural-color image of Hurricane Madeline and Hurricane Lester is a composite built from two overpasses by the Visible Infrared Imaging Radiometer Suite on the Suomi NPP satellite on August 29, 2016.